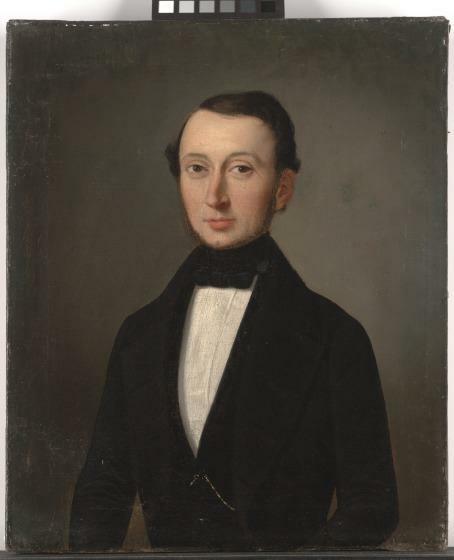 This small portrait of a fashionable Creole gentleman is attributed to Julien Hudson, one of the earliest documented free artists of color working in New Orleans. In the 19th century, a sizable prosperous community of free people of color flourished in the city, and many of them worked as artists and craftspeople or ran successful businesses. 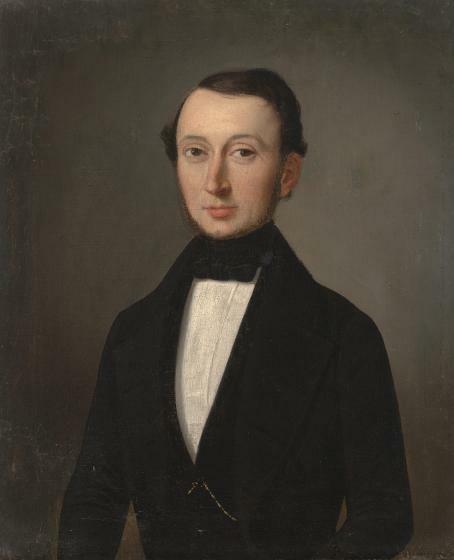 The portrait's small scale reflects Hudson's initial training as a miniaturist, while the stark background and precise handling combine the influence of his study in Paris between 1829 and 1831 and his relationship with European artists working in New Orleans in the 1830s, such as Jean-Joseph Vaudechamp and François Fleischbein.